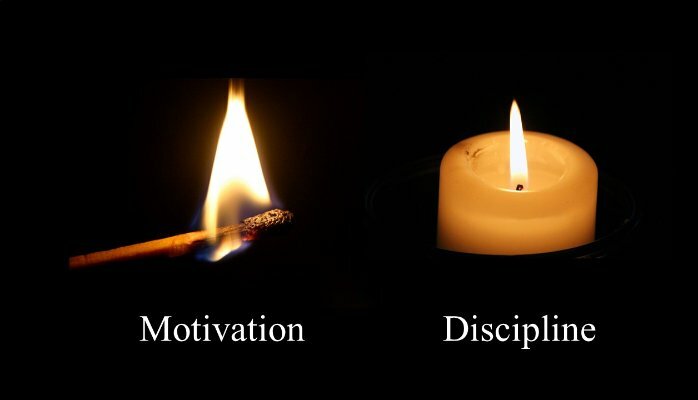 Think of motivation as a lit match and discipline as a lit candle. One burns bright but fast. The other burns bright but steady. One ends soon. The other knows how to keep itself going. Imagine each of your employees lit like a match: Eyes on fire, mind ablaze, heated thoughts expressed. Unfortunately, motivation fades. The match stick is only so long. After a day or two, they slowly return to their pre-motivated state. A week later, it’s back into the match box they go. Therefore, as their leader, you need to create the friction that unlit match sticks need. Now imagine each as a lit candle: Eyes, mind and thoughts continuously bright. Discipline is motivation repeating itself. But it takes practice – it must be developed and maintained. Discipline happens today, tomorrow, next week, next month, next year. Discipline is not as exciting as motivation and thus, less fun. Which one would you like your work team to have?